Come to the Creation Plantation and spend some time with me learning about surfboards. There is a giant world in surfboard shapes and learning about them is a never ending journey. Often customers come to my shaping room and watch me make their board. It takes many hours because I spend most of the time discussing each element of the board and how it will affect the way it will ride the wave. I should be able to do this without the hindrance of actually shaping a board, or of course we can shape a board if you like. The first class will be on the alaia. This has been such amazing journey here for the last eight years. We will discuss the paulownia and how to cut it and make the blank, which is the most important part, and then carry on to shaping and finishing the board. I will show all the shapes I made along the way and how after 98 shaped alaias I got to David Rastovich’s board which has become the basis for almost all alaias of today. I still have this board along with lots of boards and templates I made along the journey. 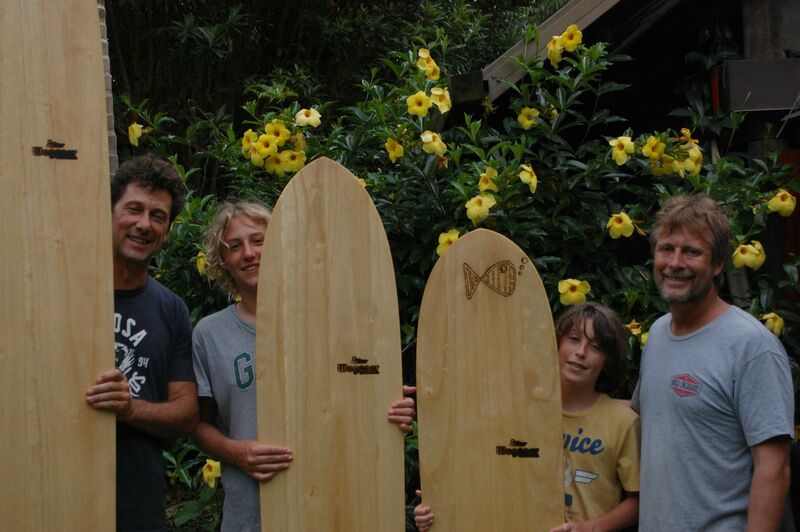 Another class will be the Tuna Story: The Albacore was one of the biggest selling surfboards in Australia this summer. Yet it was just 8 years ago standing on a finless surfboard and riding steep faces was thought to be impossible. The finless thing is here to stay. 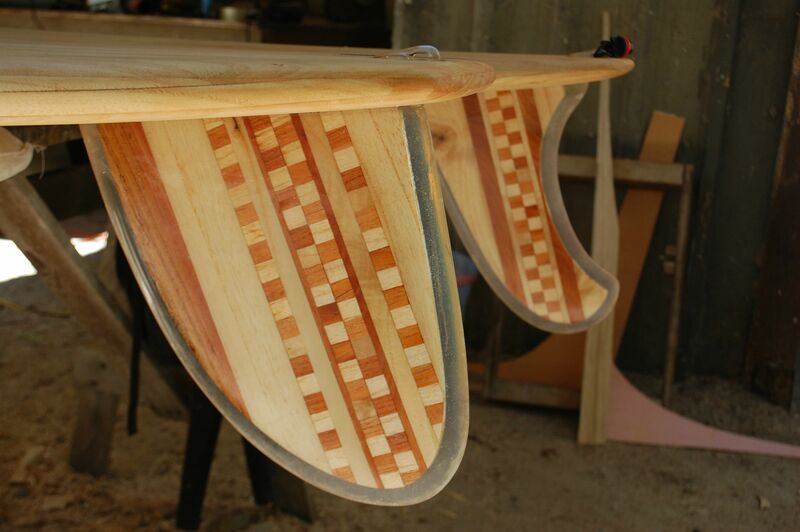 Since the albacore I have developed a way to make a non-toxic finless board that surfs great. I think it is the best surfboard I have ever ridden. But I have only made a few of them and they are still experimental. 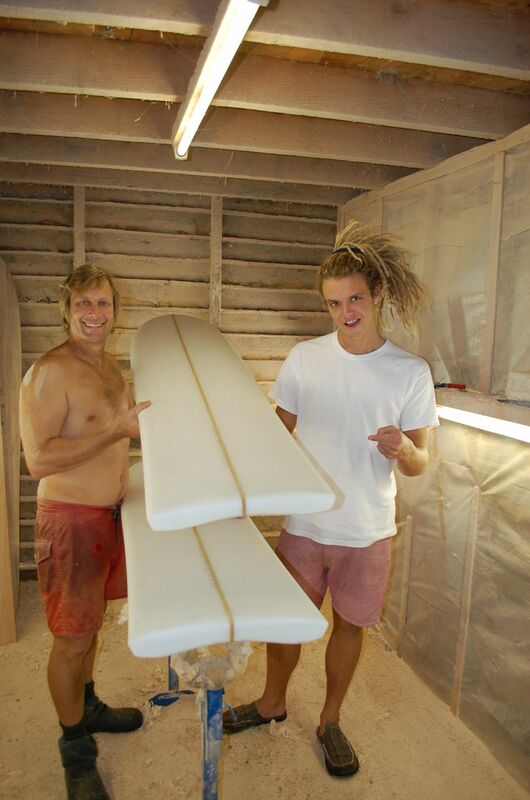 You can come here and learn about the foam finless journey and make one of these experimental boards. It will take a few days and you can stay at our house while we do it. A class I would like to have a few times a years is about fins. 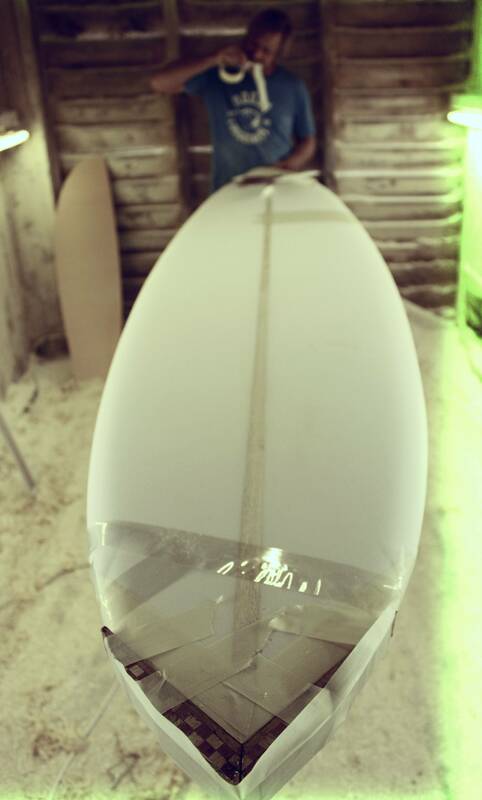 The fin is the most important part of a board that has fins. The fin or fins and their placement define the board, yet fin placement, size and flex are often haphazardly put into fin systems and boxes. I spent many years obsessed with fins and I was one of Donald Takayama’s team riders when he was developing the new 2 + 1 set up. Then I was the first to suggest to Donald that single fins are much better for California longboarding than the trifins.I have a speech I gave on fins in 1998 and since then I have just learned more and more. I will go through the complete development of the fin from Tom Blake to the Malabu Chips, to the Pat Curren guns, to the Greenough flex, to the twinfins and thrusters and back to the single fin. There is really a lot of evolution and stories in the fin. You will never look at a surfboard the same again. Next is how to shape a foam surfboard. My method is to first to visualize the board surfing on a wave. How do I want the board to feel? What lines do I want to draw? Second I decide on the fin and the fin placement. Then I work the rest of the board around that. I see how the water flow goes over each part of the board and I shape the board I see how the board surfs different as I go down. We all make mistakes when shaping so I spend a lot of time on how to see and fix mistakes. I also help you make a set of shaping tools. 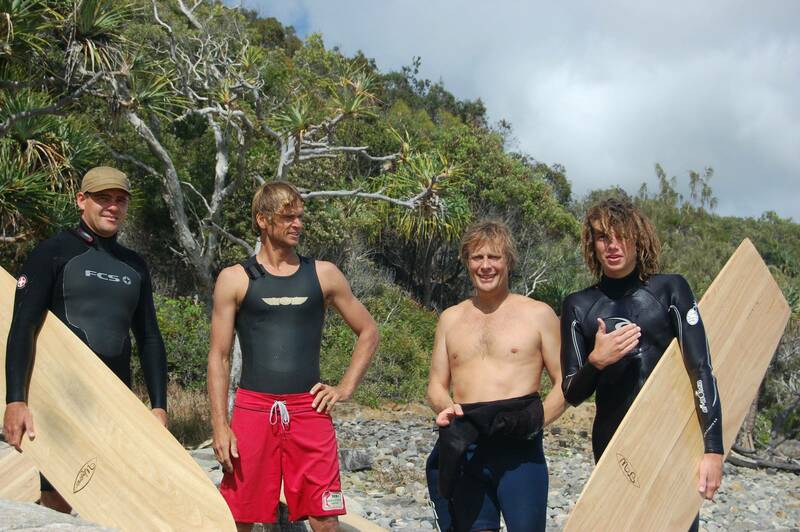 The ultimate class will be on the the philosophy of shaping a surfboard. We have come a long way since the Hawaiians started the surfboard shaping process by finding just the right tree to cut down. Then there were numerous ceremonies along the way towards the finished board. As I get older I can relate to this more and more. I am humbled by the concept of the surfboard shape. The ultimate shape is the Olo; the surfboard of the Hawaiian ruling Ali’i class. It is the board that made surfing, “The Sport of Kings”. To feel and just paddle my Olo puts surfing in a different perspective. This was the end product of many hundreds of years of surfing evolution of the Polynesian culture. From the Olo and the Alaia boards comes all of modern surfing. 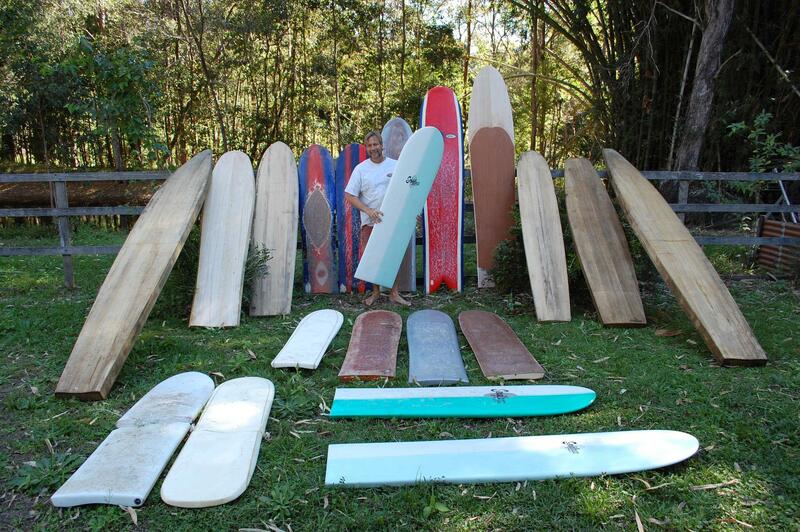 There has been a fantastic journey for the surfboard shape in the last 100 years and every board tells a story. By looking at a board you can see what the shaper was thinking when he made the board and the way he hoped to surf the wave. The late 1960’s to the the Mid 1970’s was the most fun era for design. Surfboard design went into a dark era from the mid 1980’s to 2009, but it is now exciting again. 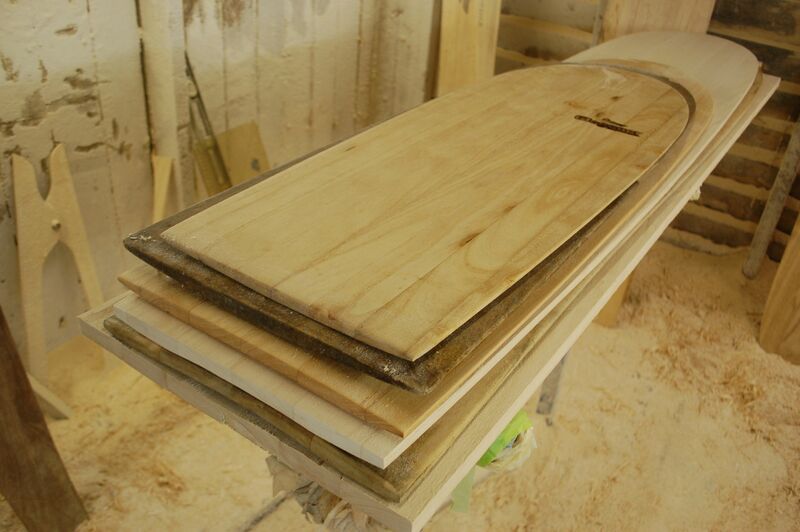 There are three distinct materials for making surfboards, PU foam, EPS foam and wood. All have good characteristics. The aim of the class is first to open your mind to the fantastic universe of surfboard design and then seeing yourself riding a wave and making the board that will bring you there.This class can last for a day or two or a week. For me it has lasted 35 years but I will do my best to condense it down for you. Dates and prices are still being finalised, but we are looking at starting classes around August.